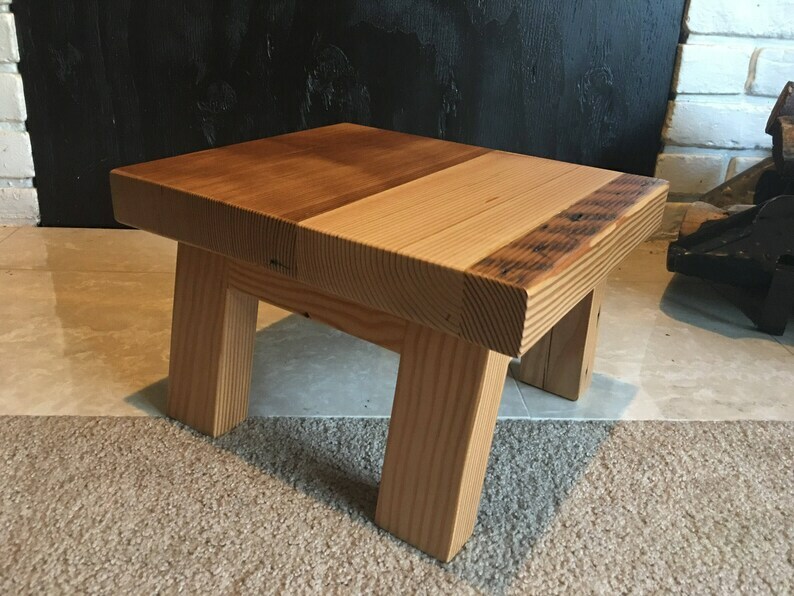 This super-sturdy children’s step stool is made from vintage reclaimed lumber from the Pacific Northwest. Each stool is made to order, finished in a durable satin clear coat. Custom stain and or finishes are available for an extra charge. Please contact for details.